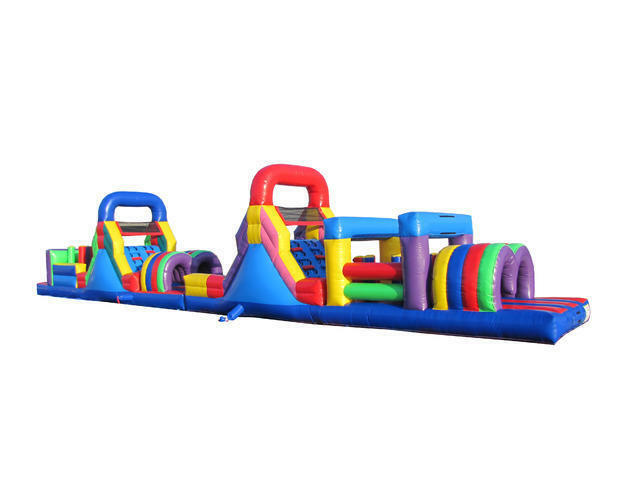 Our 72' Obstacle Challenge offers 72' feet of challenge obstacle entertainment in one unit. This inflatable play structure takes participants on a larger journey through tunnels, around horiztontal and vertical pop-ups, with plenty of climbing and descending along the way! This sleek, profile Backyard or PARK/SCHOOL Obstacle Challenge provides a bright, purple, yellow and red primary-colored theme. 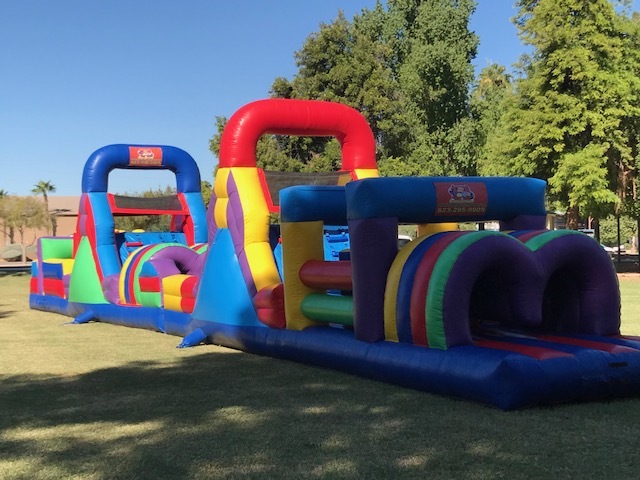 The inflatable play structure begins with a front-loading obstacle entrance, taking participants through tunnels and pop-ups to facilitate maneuvering skills. The challenge obstacle then leads to an exciting front-exiting climb and slide, all to guarantee hours of enjoyable physical activity. WILL YOU WIN?